Let me tell you, July 29 was one of the most eventful days I’ve had as an eatsplorer. Right after we took the time snapping photos and taking little bites of what was laid out at the Foodie Bloggers Meet Up at the SM City Baguio FoodFest, we made a beeline for the new site of The Old Spaghetti House. Where the spaghetti house used to be, Ramen Nagi took over. 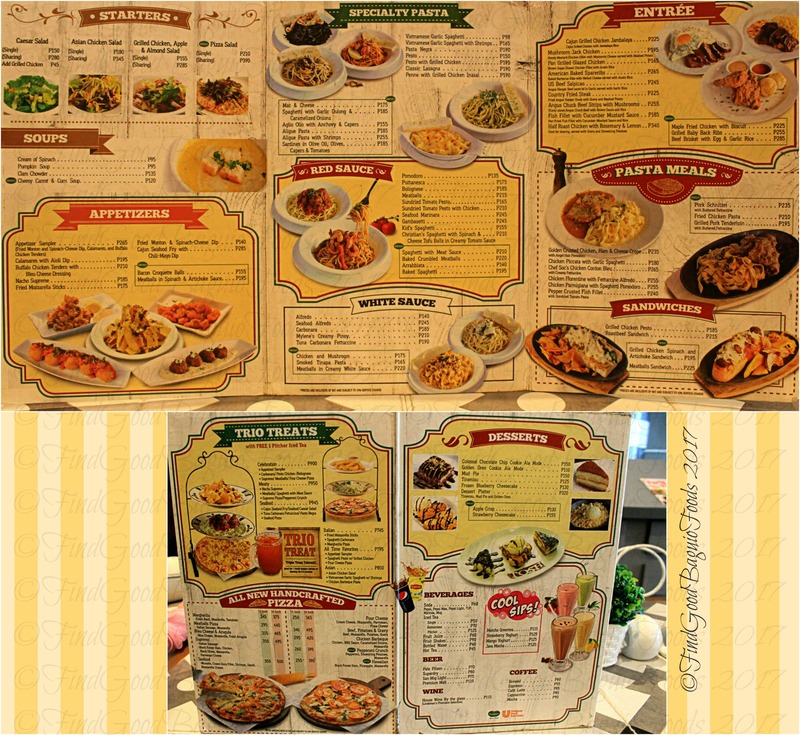 While the foodies in and around the City of Pines were ecstatic that we finally have a closer universal noodle branch here, it was apparent that a number of food questers were saddened at the loss of The Old Spaghetti House. Gorgefest at The Old Spaghetti House. It’s more than just spaghetti. Rejoice TOSH fans, this house isn’t lost to us forever. They just got a wider snazzier looking space, a floor up, in front of Cinema 4. Wee! It’s a given we had pasta selections in our impromptu food fest, but get this, The Old Spaghetti House is where we actually had a pasta negra, true blue squid ink sauce. (“,) Impressive how every strand of spaghetti was coated in the sauce; we really thought that the pasta itself was black. Each and every one of us quickly got full with the carb loading we did, but I tried my very best to get lots of bites from old … and new … TOSH favorites. TOSH table of foodie blogging friends (Eats OA, Officially Girlyfied, Local Folke, Hello, Relyn; Baguio Eats, Eats in Baguio, Turista Boy). Wee! We’re ever so grateful Old Spaghetti House … and also, so very happy to see that you’re still in food trip city, Baguio City. ***Thank you, Ms. Trixie, for inviting and welcoming us to the new spag home in Baguio! We’re grateful too for the takeout. My foodie lovies (and by extension, furry lovies) had a spaghetti house themed meal the next day. Getting cozy at The Old Spaghetti House’s new home. Yeh! Natapos ko rin ang eatsploring sa pagbabasa ng blog mo. Kalurkeyy hindi ko rin alam na may iba pa palang foodang sa The Old Spaghetti House. May Pizza salad talaga. Hello, Mario! Glad to hear you’re up to date on the write ups of our food adventures. I know right, I was really surprised that TOSH had other things besides spaghetti. Pizza salad no less … and pasta negra.